In your absence, boarding is the best environment for the care of your pets. At Sylvenus Kennels, we provide your pets with a safe and caring environment. 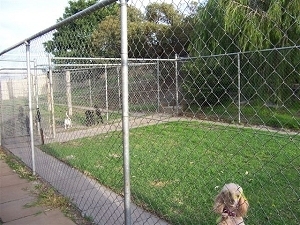 Sylvenus is licensed for 45 dogs and complies with all the state and local government requirements. 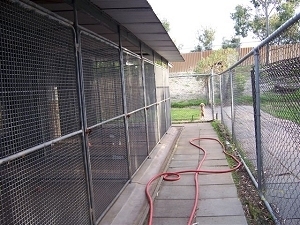 A lot of our kennels have both heating as well as air-conditioning. Small dogs are housed in a kennel each measuring approximately 7 square metres for eating, sleeping etc and an outside grassed area ranging from 30-40 square metres. 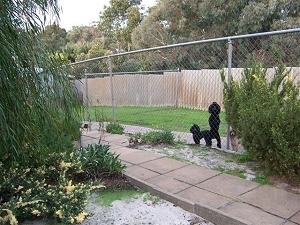 The Kennels have Music 24/7. 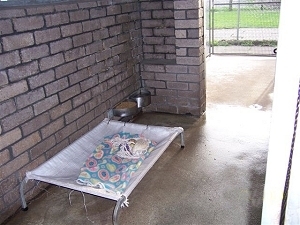 Heating is also available in the kennels along with AIR CONDITIONING. All kennels and exercise areas are cleaned twice daily. 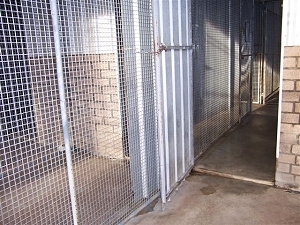 All kennels are equipped with doors which we close off at night to protect your pet from the cold nights. 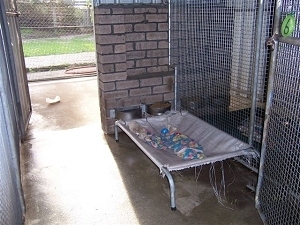 All kennels have either a trampoline style bed or a plastic pet basket each with vet bedding or blankets on them. Only quality, nutritionally balanced foods are offered. Special diets can be catered for on request. A 24 hours veterinary service is available.